Thank you for your great review on your recent stay at the Whale Coast Hotel. I am delighted to hear that you enjoyed your stay with us, especially the excellent location, modern apartments and the wonderful service from the team. Our hotel is indeed situated perfectly to explore all that Hermanus has to offer. I hope that we will have the pleasure of welcoming you back soon. We are absolutely thrilled about your positive feedback and that you enjoyed your recent stay with us. Our hotel is indeed situated perfectly to explore all that Hermanus has to offer, and I am delighted to read that you enjoyed the spacious apartments and wonderful service from our team. We look forward to welcoming you back soon. Dear Valued Guest Thank you for sharing your experience regarding your recent stay with us. It is particularly warming to receive a review like yours and to know that our efforts to provide superior service and hospitality contributed to your memorable holiday. I am pleased to read that you enjoyed our modern apartments and excellent location. We look forward to welcoming you back on your next visit to Hermanus! Dans le centre de Hermanus, au-dessus d’un centre commercial. Très grandes chambres/appartements, propres et bien aménagés. Propre et service soigné. Petit-déjeuner ok. Parking gardé et fermé au sous-sol compris. Un séjour agréable pour le prix demandé. 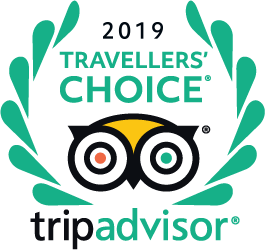 Dear Paul On behalf of the entire team at The Whale Coast Hotel, I would like to thank you for choosing to stay with us. I am delighted to hear that you enjoyed your stay and many thanks for the lovely review! We are looking forward to welcome you back again soon. Immense appartement très bien meublés et décorés. Grande propreté. Un personnel aidant, accueillant et sympathique. Juste la surprise de se trouver au dessus d'un centre commercial. Très calme néanmoins. Au coeur du centre ville. Dear Caroline We are absolutely thrilled about your positive feedback and that you enjoyed your recent stay with us. Our hotel is indeed situated perfectly to explore all that Hermanus has to offer, and I am delighted to read that you enjoyed the spacious apartments and wonderful service from our team. We look forward to welcoming you back soon. Is the pool indoors or outdoors. Does it get full sun? We are looking to book for four nights. We want an apartment with a washing machine & dryer. Are you looking to add these to your apartments in the near future as other previous guests have requested? Does it include any meals? Is there a restaurant in the hotel for breakfast & supper? "demander une vue mer mais tres peu d'appartement en ont"
"toutes sont toutes neuves et super équipée"